8.6.5.2 The 'Assign Grades to Settlements' Tool is the 1. of 3 function to process settlement data in combination with the GIS. This (re-) processing is very important whenever settlement data have been changed or added. 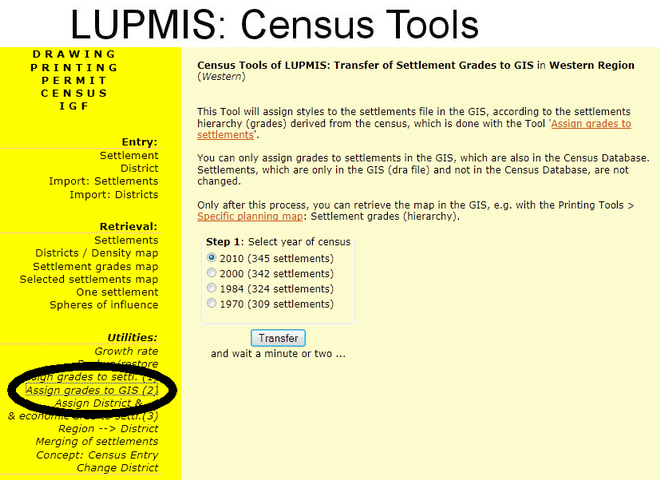 The 'Add District to settlements' function is the assignment of the District to each settlement, based on the GIS layer of settlements and Districts (overlay). 8.6.5.3 'Region --> District' breaks down the census data, which are normally entered and maintained on a regional level, to District level. 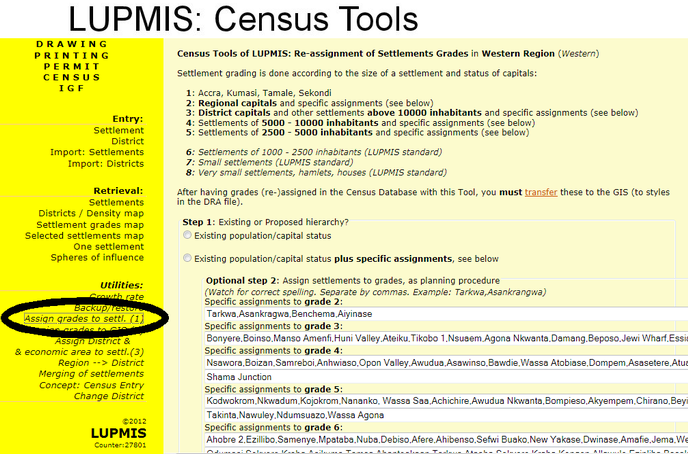 You have to be logged in on District level, to 'copy' the regional census data to your District. 8.6.5.4 Through Entry > Import: Settlement you can re-assign grades, i.e. gives the grade (hierarchy) of each settlement, based on their population size and on political status (capital). 8.6.5.5 Through Entry > Import: District you can re-assign District codes, i.e. 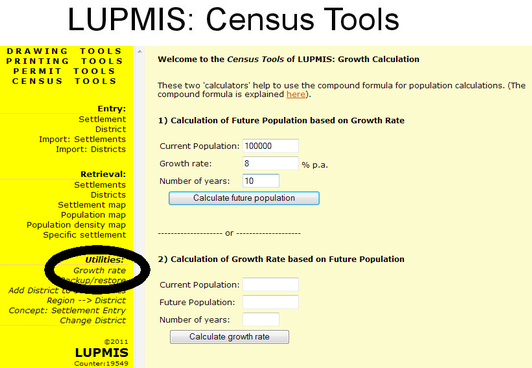 the number of the District will be given to the census database.